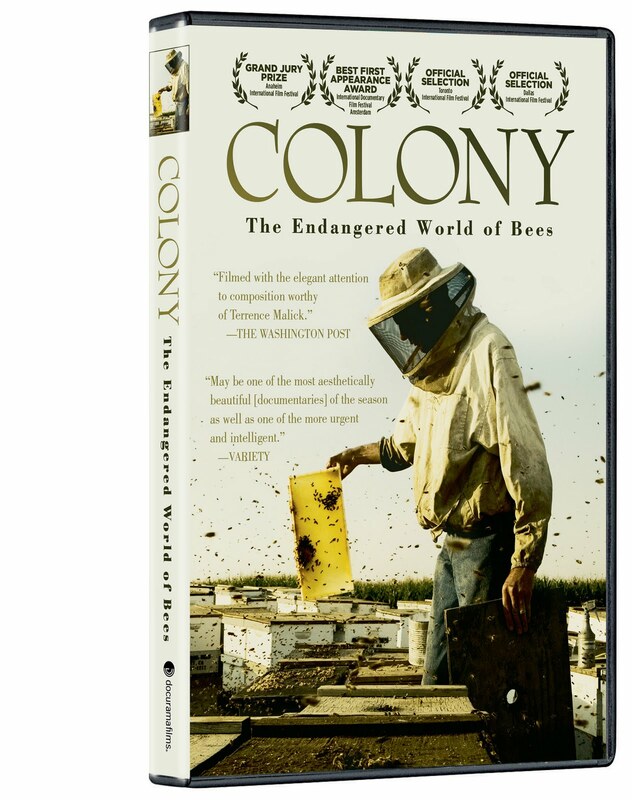 The beekeepers featured in Colony are the ones who play an indispensable role in food production. 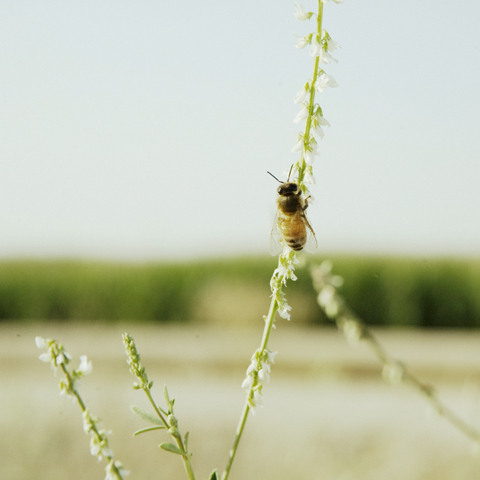 Bees are an integral part of the food chain, and beekeepers provide the bees necessary to pollinate the crops. These are the beekeepers who rent to growers every season thousands of hives containing millions of bees; it is apparently a huge business. While exploring the business aspect of the profession, this film captures a time when the industry is in turmoil, maybe even on the verge of collapse. Not only has the global financial downturn affected everyone’s profit margins, but the beekeepers are also suddenly faced with something called Colony Collapse Disorder (CCD). You may have heard of CCD in terms of its effects. Millions of bees are dying and scientists cannot explain why. Bee science has not advanced far enough to be able to isolate the cause of the bee die-off. The film suggests that there may be a link between the introduction of certain new pesticides and the advent of CCD, but it does not get preachy in this regard and offers a number of other possibilities as well. 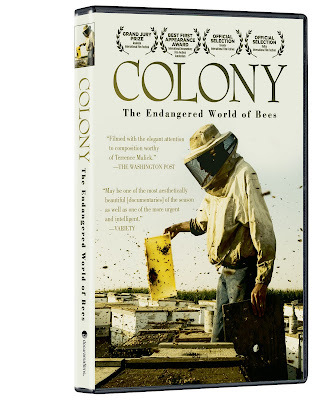 Colony tells this story by following a couple of beekeepers caught in this turmoil. David Mendes is a veteran beekeeper who has become politically active in the face of CCD. 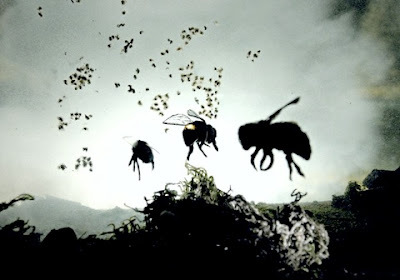 The film highlights his emotionally moving presentation to the American Beekeeping Federation concerning what their reaction to CCD should be. But the real focus of the film is on the Seppi family from California. 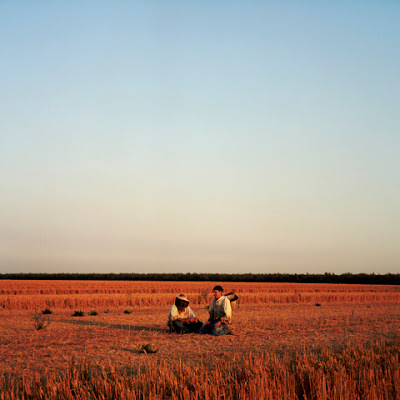 Guided by their deep faith in Christianity, the Seppi family, particularly the two sons Lance and Victor, not only see beekeeping as a calling, but they also see what is happening to the industry as a reflection of what is happening to society as a whole. The family dynamics of the Seppi family is fascinating to watch, especially as they face the financial realities of today’s markets in the wake of America’s seemingly endless recession. The movie is beautifully filmed and, while there is some explanatory voice over, the filmmakers let the story unfold through the words and actions of its subjects and do not intrude or preach at any time. This is a human story, and directors Gunn and McDonnell allow it to unfold. Colony raises more questions than it answers. 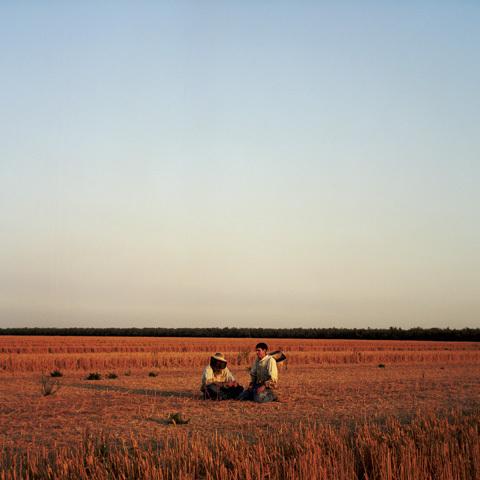 It provides the viewer with a glimpse into the lives of people who are struggling just like the rest of us, but the struggles of the beekeepers have an enormous impact on the very basic substructure of society. While the overall educational role of this documentary is probably as a primer about the effects of CCD, for me, what stood out the most is its insight into how people confront crisis in their lives. Some turn to science, others to faith, but no matter which direction they go they are all seeking answers to the fundamental question of “Why?”. And it is in the act of asking such a fundamental question that we all reveal our true shared humanity. Colony Trailer from losthillspictures. on Vimeo.